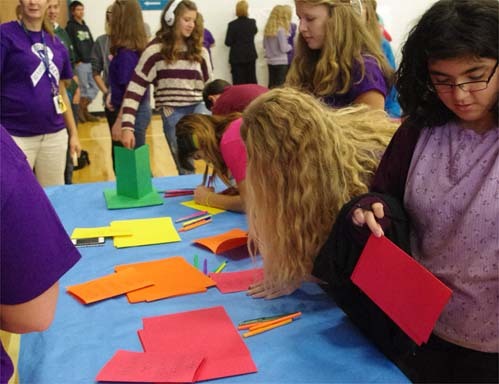 ONEKAMA — Purple was the color of the day at Onekama Consolidated Schools on Friday. 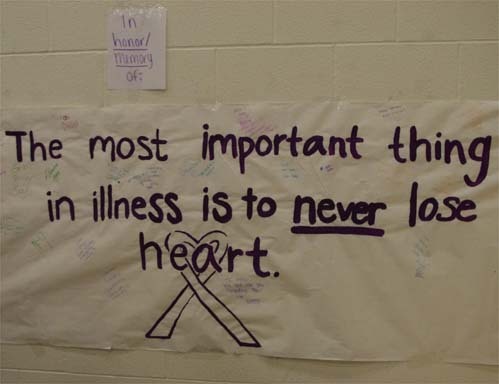 Every student from the K-12 level in the building was wearing a purple T-shirt signifying they were joining in the fight against cancer. 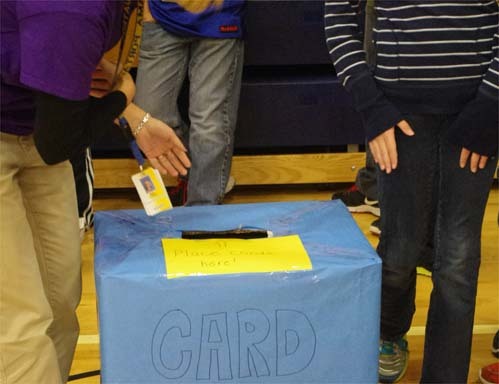 The annual fundraiser that is organized at the school by the student council collected $1,305, which will be donated to West Shore Medical Center to be used in programs to fight cancer. 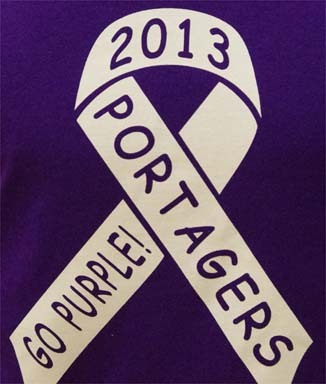 Organizers of the Portagers Go Purple campaign realize that most people either have a family member or friend who has been touched by cancer. That is why the student council likes to get the entire school involved in the event. 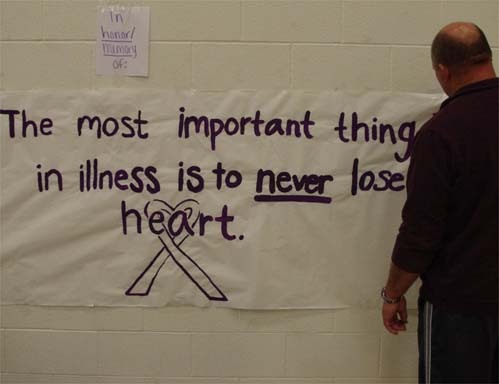 Student council adviser Nikki Torrey said that the color purple was used instead of pink this year because that is the color to signify all types of cancer. Students purchase the T-shirts to show their support and the funds raised were used to go for the fight against cancer. This year the program was taking place a little later than normal in October which is Breast Cancer Awareness month. 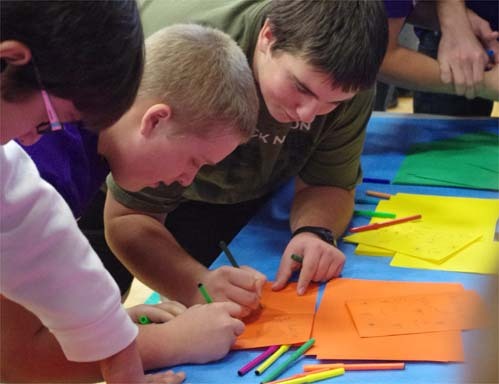 Because of that later date the student council members elected to switch things around with the color of the T-shirts. 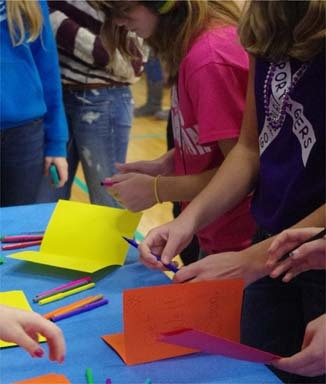 “This year we ordered 300 T-shirts and wore the color purple to recognize all of our family and friends who have been impacted by cancer,” said Torrey. 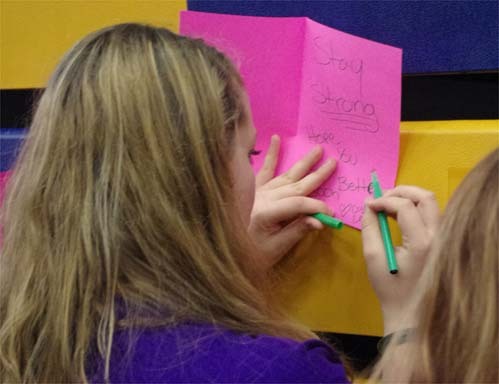 Students formed a giant purple ribbon in the school gymnasium at the start of the event for a picture and then offered several options where students could show their support. 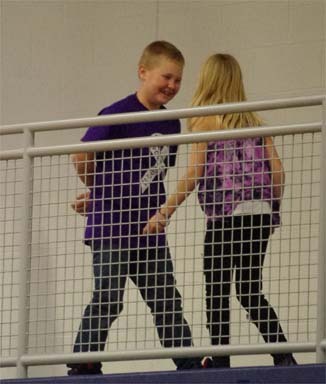 Onekama principal Gina Hagen said school officials were especially proud of the students.